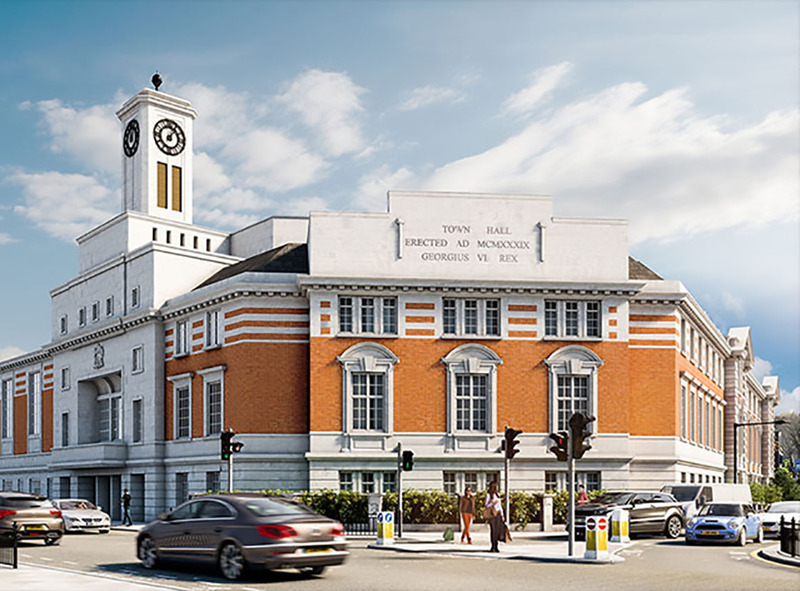 Bringing together the very best of old and new, The Old Town Hall development with its heritage setting and elegant façade offers modern-day convenience alongside stunning old-style grandeur. Many of the converted studio, one, two and three bedroom apartments have retained the features of the original building, which was built in two phases in 1910 and 1930 in the style of a Baroque palazzo. These include original wood panelled walls, decorative ceilings, cornicing and stately fireplaces. The new build homes are equally as beautiful but much more contemporary in design and will feature a balcony or terrace. These unique homes are available to buy via outright sale, shared ownership and the Government’s Help to Buy scheme and are priced at around £400,000. The white gloss kitchens come with integrated oven, hob, cooker hood, microwave, fridge/freezer and dishwasher, with a washer/dryer located in the hallway cupboard. There is engineered oak flooring in the kitchen, hallways and living areas and wool twist carpet in the bedrooms. The master bedroom comes with a mirrored wardrobe. There is also a lovely landscaped communal courtyard for all the residents to enjoy. Acton is a bustling and lively location with a real sense of community. There’s a major supermarket plus an array of independent shops, bars, restaurants, cafes and pubs, and Acton Market in the town centre is open four days a week. If you are looking for open space then Acton Park is an 11-minutre stroll away and offers a bowling green, tennis courts, children’s playground and cafe. With London on the doorstep, Acton Central station is just a six-minute walk away and Acton Town tube is 15 minutes away which will take you to Kings Cross in half an hour and Piccadilly Circus in 22 minutes. 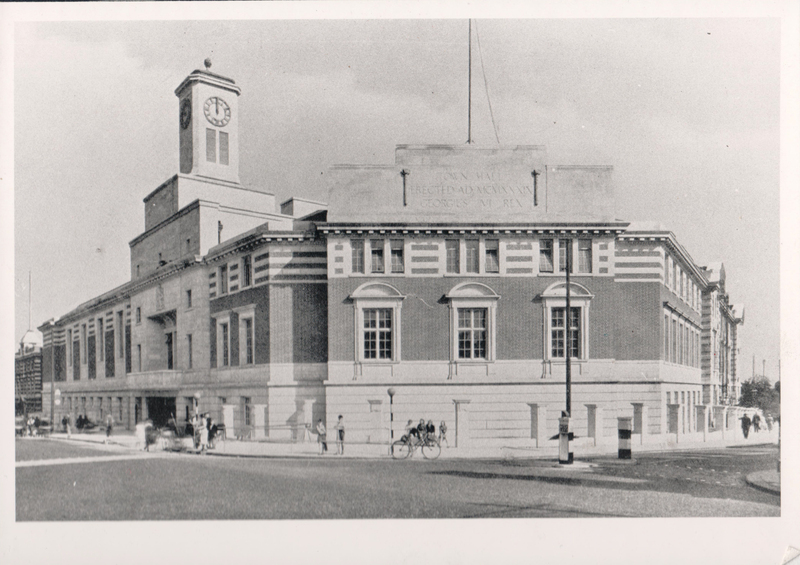 Acton Town Hall originally opened its grand civic doors on 10 May 1910. In addition to housing the offices for the council’s staff, the hall had a grand Council Chamber and an expansive committee room. 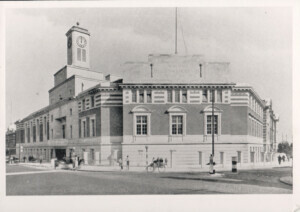 Originally designed with the intention of being extended, Lord Rochdale – the Lord Lieutenant of Middlesex – officially opened the renovated town hall on 24 June 1939, famously declaring the extension as “very noble and thoroughly English”.